Understanding mutual fund share classes is key to making smart investing decisions. If you’re socking money away in a retirement account, the odds are you’re investing in mutual funds. Mutual funds allow investors to pool their money together and receive professional investment management. This means the managers of the fund are doing the stock or bond picking and managing risk in the portfolio. Before you invest in a mutual fund, it is critical that you understand the cost structure of the fund. Mutual funds are offered in a variety of share classes. The share class determines how and when the investor is charged for investing in the fund. It is important to note that it is not a grading scale so A does not mean better than C. Also, there are more share classes out there than are listed in this post. These are just the basics. Class A Shares: Class A means the investor pays a load (commission) up front to buy the fund. This load can be upwards of 5.75%. Let’s assume you invest $10,000 in XYZ Mutual Fund (Class A), your net investment in the fund is $9,425 and the $575 goes to your broker. Class A shares often have a lower annual operating expense charged by the mutual fund. The funds will often allow “breakpoints” which provide for reduced loads based on increased purchase amounts. Class B Shares: Class B means the investor pays no up front load, but instead commits himself to a potential deferred charge should he sell the investment within a certain period of years. This is referred to as a CDSC or Contingent Deferred Sales Charge. What is important to note is that the broker still gets a commission paid by the mutual fund company at the time of the sale and the investor often pays a higher annual operating expense charged by the mutual fund company. Not having to pay an up front load can be an attractive feature on its own, but it needs to be weighed against the increased annual operating costs and potential for withdrawing the funds prior the CDSC period. After a period of time Class B shares will convert to A shares automatically. Class C Shares: Class C shares typically don’t charge an up front load, similar to a B share, and they will often have a CDSC charge that is much lower than a B share and have a shorter CDSC time period. This may seem very attractive at first, but the trade off is that Class C shares typically come with a higher annual operating expense than both A and B share classes. In addition, they don’t automatically convert to Class A shares so if you hold C shares for a long period of time, you could end up paying much more than expected. No Load Funds: There are many mutual fund companies that offer their funds without the cost structure listed above. These mutual fund companies do not rely on brokers to offer their funds, but rather offer their funds directly to the public. In this scenario, the investor goes straight to the mutual fund company. These companies offer their funds without loads (no commission), however annual mutual fund operating expenses still apply. It is important to note that there are many financial advisers who do not receive compensation from mutual fund companies for selling their funds to clients. These advisers can often provide Class A funds to clients under special agreements with the mutual fund companies where the fund is offered as “load waived.” In this scenario, the client invests in a Class A fund without paying a load or commission. If you are investing in mutual funds, be sure you understand what you’re paying. 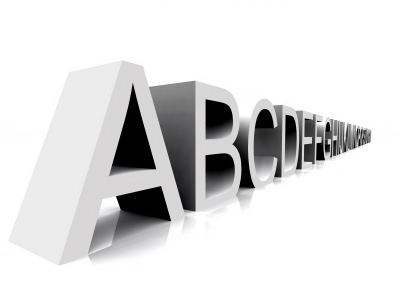 Learning the ABCs of mutual fund share classes is a must for every mutual fund investor. Do you have questions about mutual fund share classes?